Oyebola, D. D. O. 2018. The Professionalisation of African Medicine. p. 221. 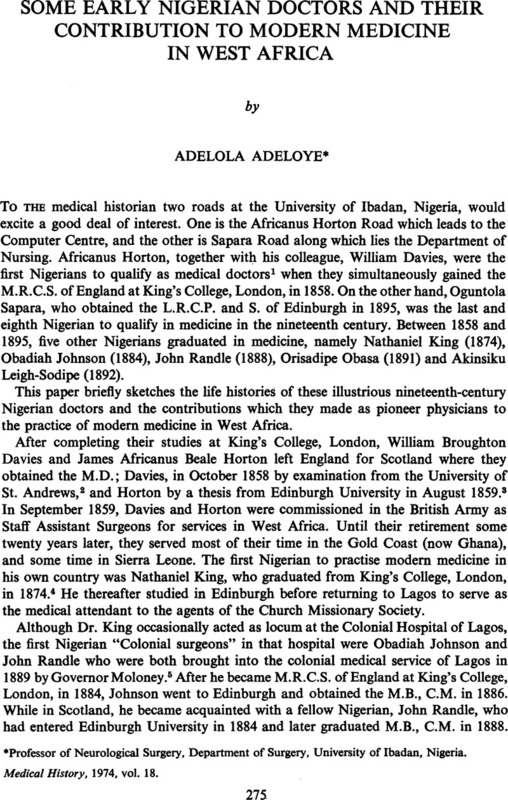 * Professor of Neurological Surgery, Department of Surgery, University of Ibadan, Nigeria.